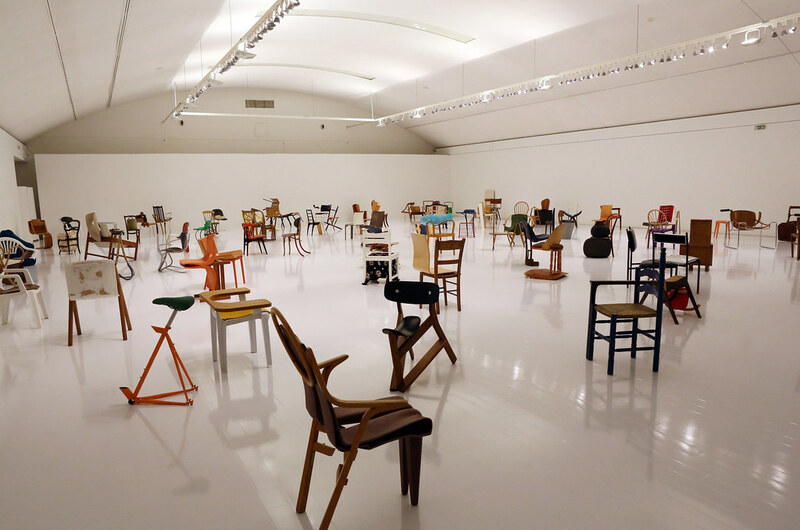 Martino Gamper is an influential London-based Italian designer who first gained recognition in 2007, when he staged an exhibition entitled “100 Chairs in 100 Days”, consisting of a collection of 100 distinct chairs built from remnants of old ones that had been discarded and left on the street. Last week, London’s Serpentine Gallery opened “Design is a State of Mind” guest-curated by Gamper and featuring a landscape of shelving units lined with a peculiar assortment of objects including silverware, bricks, stones and bits of machinery. 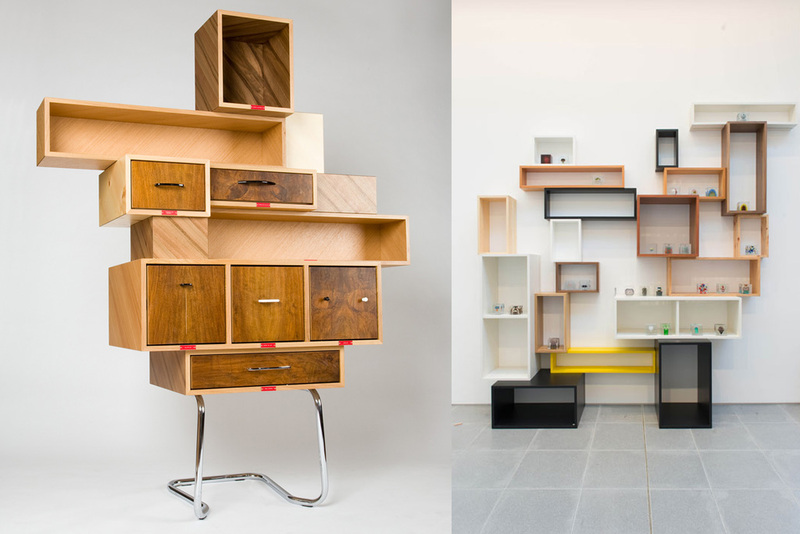 By mixing rare pieces from eminent 20th-century designers with cheap, ready-made shelving systems from Ikea and collections of personal objects from friends and collaborators, Gamper aspires to encourage viewers to reassess the objects in their own lives and the design culture that produced them. In line with such an attempt is the Arnold Circus Stool, which Gamper designed as part of the Arnold Circus Regeneration Project. The Arnold Circus, situated in Shoreditch, was built on the rubble of London’s first housing project. Today, these multifunctional stools serve as the official seating for circus events, including picnics, concerts and film screenings. 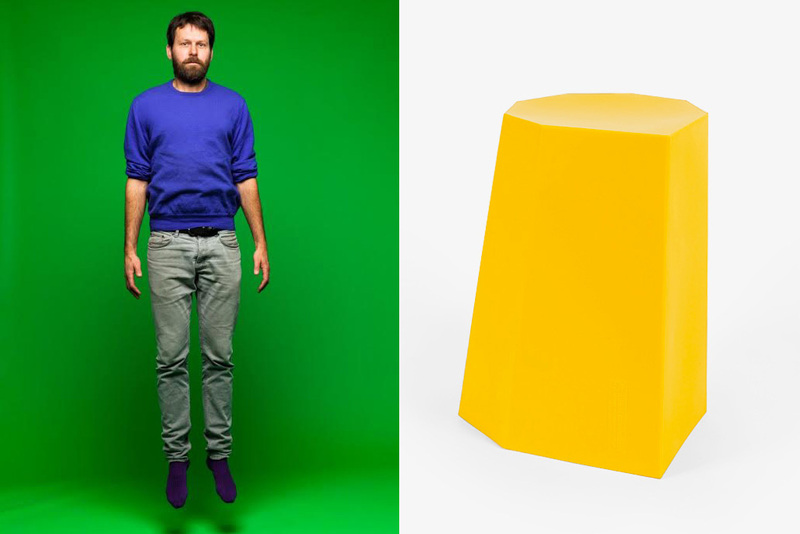 Made from rotation moulded plastic, the stool is hollow inside and can be layered, turned upside down and used as a storage container, or turned upright and employed as a table or seat. 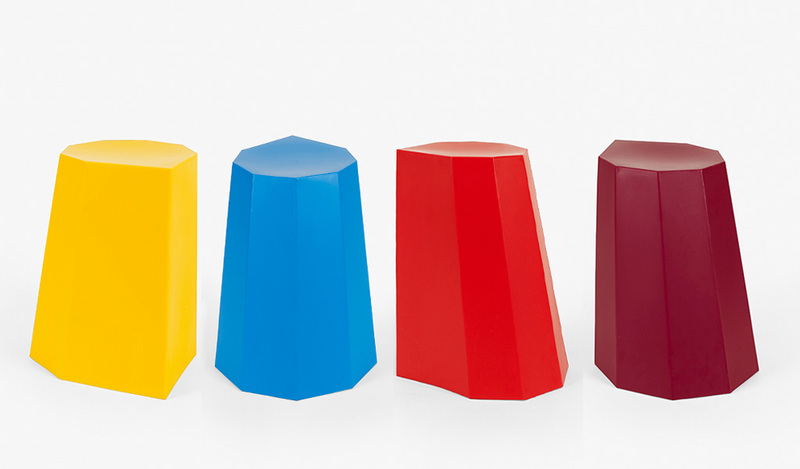 Available in array of striking colors including Blue, Red, Yellow, and Maroon, the Arnold Circus Stool is the perfect opportunity to own a piece of furniture from a thought-provoking and instinctive designer who is on the rise and set to make a permanent mark in the world of design.